HomeMilitary AviationU-2 touch and go as seen from the most original point of view ever…. We have already seen several U-2 videos. 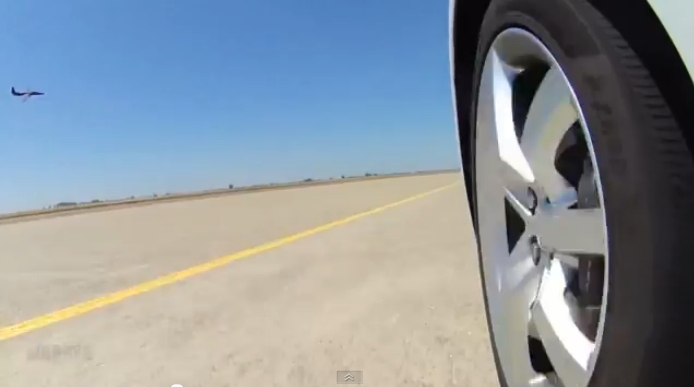 Among those showing the aircraft taking off or departing, this is the one filmed from the most original point of view: the left wheel of the plane’s chase car at Beale Air Force Base, California, home of the 9th Reconnaissance Wing. Driven by highly trained pilot, chase vehicles act as ground-based wingmen for the U-2 pilots (and drone operators remotely piloting Global Hawk UAVs) talking them through runway operations.